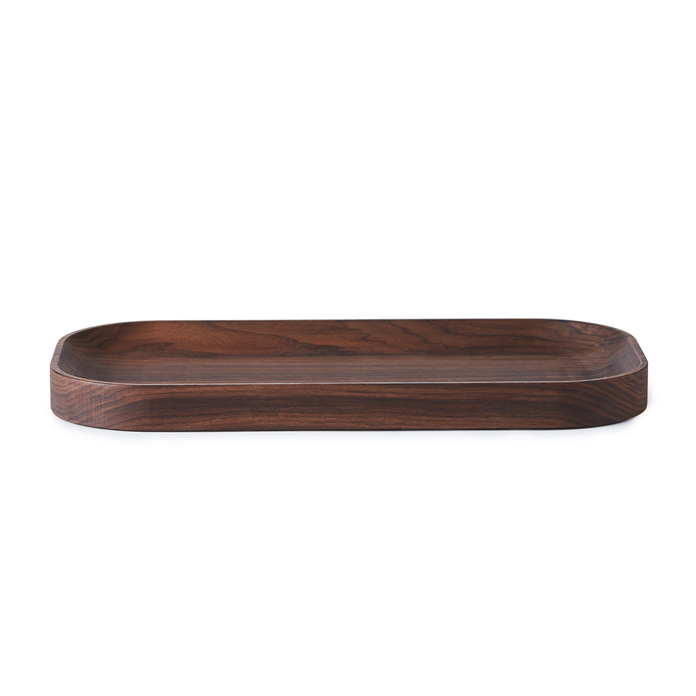 Exquisite wooden trays with an organic design and understated elegance. The Carved Wood trays are made of solid wood, exuding an exclusivity that makes them a beautiful bed for fruit, vegetables and nuts, an elegant design element in a still life with jewels, vases and bibs and bobs from nature, or for afternoon tea on the patio. No two Carved Wood trays are alike in the wooden structure. The beautiful curved edge on the inside of the tray was created using traditional wood carving techniques with a modern aesthetic and design and a feeling for authenticity in mind. The carving plays a major role in the tray’s tactile properties, while the simple, organic design accentuates the innate beauty and unique character of the wood. Carved Wood is available as a classic round tray in solid oiled oak and in a rectangular version in solid oiled walnut. This simple, yet simple design is the work of Welling/Ludvik. 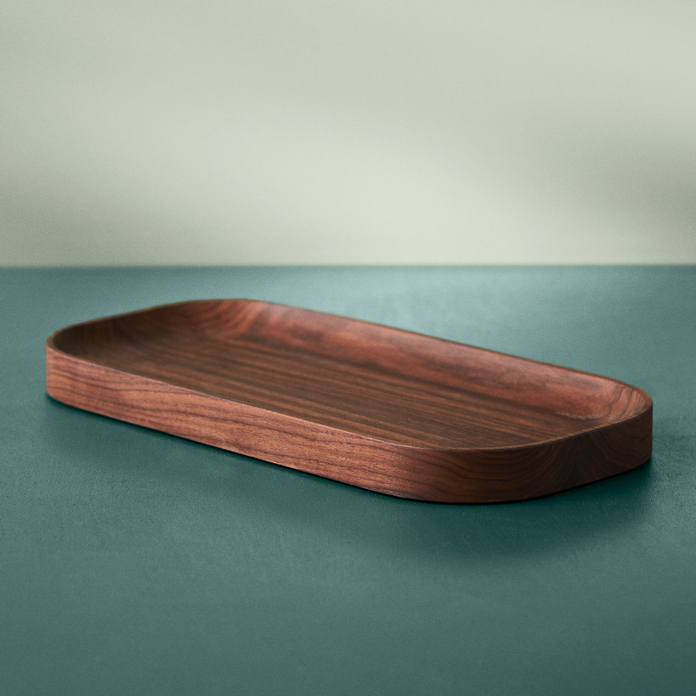 With the Carved Wood trays, the design duo has refined classic workmanship to fit a modern context. Love of wood, materiality and clean lines permeates the design, which is a tribute to a timeless Nordic aesthetic rooted in quality and craftsmanship.